Israeli Air Force experiences drastic leap in capabilities with purchase of the Seahawk, the sibling of the venerable Blackhawk helicopter. Israel has purchased through the US government’s Foreign Military Sales Program 8 ex US Navy Seahawks. 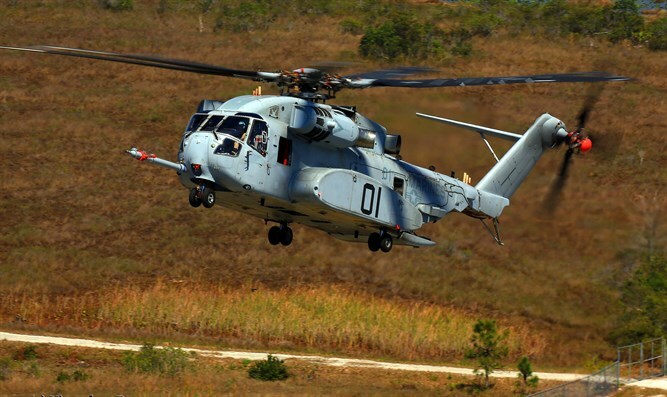 This purchase was made back in 2016 as the US Navy phased out the SH-60F in favor of a newer platform such as the MH-60R. When this purchase materializes and these helicopters start flying over the Israeli coastline, the IAF will experience a leap forward in capabilities despite the fact that the Seahawk helicopters it has purchased are actually older than the current platform it operates – the SA365 “Panther”. 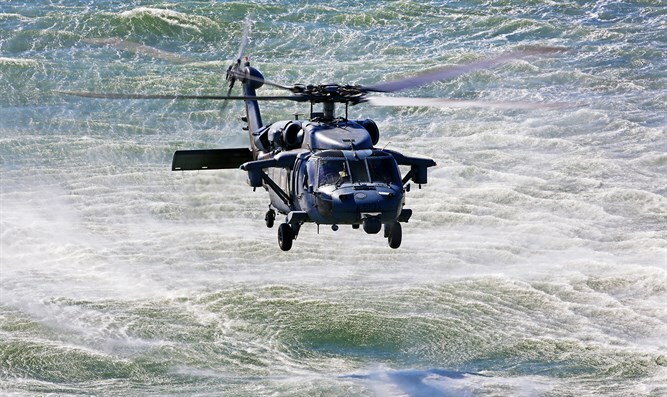 The Seahawk is manufactured by Sikorsky and is the sibling of the venerable Blackhawk. The benefits this helicopter brings to the IAF is laced in higher capabilities despite it being an older airframe. The Seahawk provides almost double the payload capacity along with double the range when configured with external fuel tanks, it is believed that since the SH-60F already has this configured, it will fly in the same manner with the IAF. Israel has a growing economic interests in the Mediterranean, the discovery of 3 large gas fields have Israel pondering its approach for the past several years. For decades Israel’s wealth has been its innovative mindset, it lacked petro dollars so many of its neighbors had an abundance of. Israel’s Navy was very small compared with other countries in the Med, it initially sought to protect only its border. Over the years the Israeli Navy was tasked with mission specific long range capabilities, this developed with the emergence of new threats such as weapons smuggling and ongoing terror threats, the Navy grew so as to provide more long range capabilities. With this new paradigm, Israel will need to learn to protect a large body of water from a variety of threats. With this recent discovery, Israel has been looking to protect its investment. With Lebanon, Syria and Turkey close by, along with the Russian Navy, all of which are considered hostile to Israeli interests, Israel has the need to bolster its Navy and its footprint in order to protect a large body of water and the rigs it contains. Israel has suffered attacks on major infrastructure before indirectly when a joint Israeli-Egyptian pipeline was targeted in Sinai. Currently, the Israeli Air Force boasts the questionable capability of having to land on the smallest possible helicopter landing deck a Navy ship contains. The landing pad aboard the Saar 5 class Corvette was capable of accommodating the SA365 Panther known locally as “Atalef”. The relatively small measurements of the “Panther” meant that the designated helicopter had several drawbacks like less room for systems, their operators and less fuel capacity which meant limited range in comparison with many other ship based platforms. The Seahawk provides a platform that is almost identical to the Blackhawk currently operating in IAF service. This allows the IAF to consolidate the maintenance for the type and possibly allow for the shutdown of a Panther squadron while enhancing its actual capabilities by incorporating the Seahawk into an existing Blackhawk squadron. Another one of the Seahawk’s distinct advantages is that as opposed to the Blackhawk, the Seahawk’s tail section and rotor can be folded up easily therefore allowing it to take up less of the ship’s valuable deck space. In fact, when the Seahawk is folded, it actually takes up less space than the Panther. We were fortunate to visit a Seahawk squadron, the HSC-5 “Nightdippers” and get a feeling of what it is like to do ship based operations with the new helicopter. HSC-5 is commanded by LCDR Nick Schnettler who spoke with us about what this version of the helicopter does. 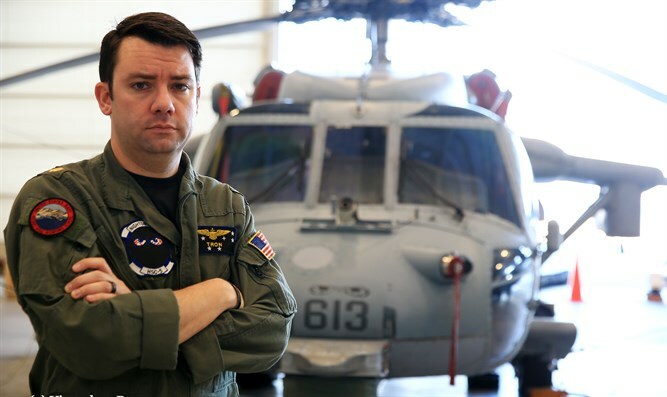 LCDR Schnettler is a veteran Seahawk pilot and has several thousand hours under his belt flying the type. Schnettler’s Squadron has a heavy workload, not surprising with the list of duties the Seahawk is tasked with. 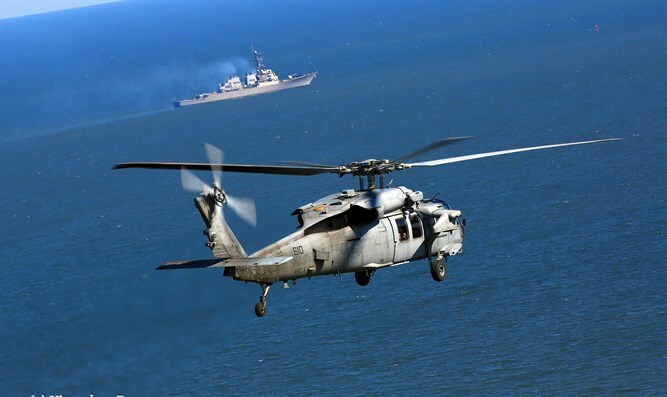 The Squadron helicopters provide SAR (Search and Rescue), Ship Defense, ASW (Anti Surface Warfare), supporting Special Operations and providing personnel recovery. The Squadron’s helicopters are capable of carrying Hellfire missiles, a 20mm canon or a rocket pod launcher, all of these will be available on the IAF’s version as well providing an additional punch to an already potent weapon system. 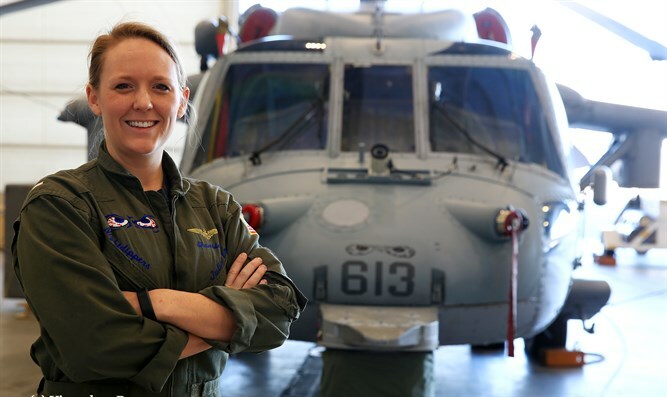 When asked what it feels like to get called upon for Search and Rescue missions and his experience on the matter, LCDR Schnettler says “The last few times ive done it magically the helicopter flies a little faster, there is a feeling of excitement but people are quite serious as well”. Following the first few seconds of excitement Schnettler says that pilots and crewmembers kickback to their training which is often with regards to SAR and ASW. Additionally the Seahawk folds up relatively easily compared to a generic Blackhawk, something which makes it easier when ship based. 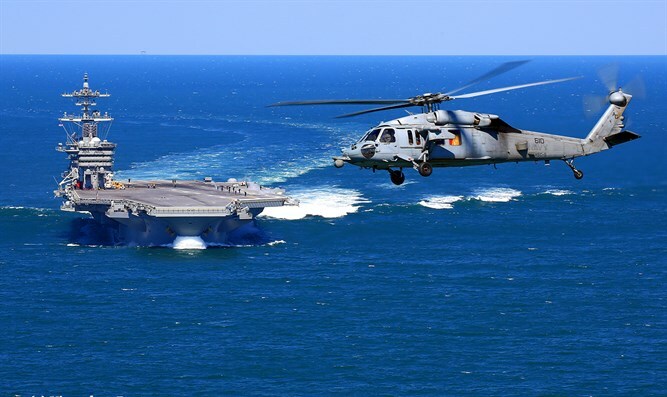 According to LCDR Schnettler the smaller the ship the more capabilities the Seahawk can enhance the ship with whether “looking forward” with its radar or being able to launch on short notice in order to provide fire support. Chief John Hinerth is the Maintenance Officer for the Squadron, he states that typically it is harder to maintain the platform at sea due to the saltwater environment which can pose a challenge to any airframe exposed to these conditions. Additionally since the Seahawk has so many more capabilities than a regular Blackhawk, although it easy to change the mission “like lego” all the different systems have to be ready all the time which makes it a bit more challenging according to Hinerth. We also met with Lt. Julia Zuk who is from a “Navy Family” with an uncle, cousin and grandfather who are all naval aviators, she felt she liked the culture the pride and ultimately the job of a naval aviator and felt to her as a natural choice. As with many US service personnel events of the past year supporting disaster relief in Puerto Rico have had a big impact on how she views the importance of her job and mission. One thing is apparent, all the crewmembers discuss how reliable the airframe is, as a relative of the Blackhawk this isn’t really surprising, it would seem that the Israeli Air Force is very confident that even though it is purchasing used airframes, the amount of life these helicopters have in them is quite extra ordinary.